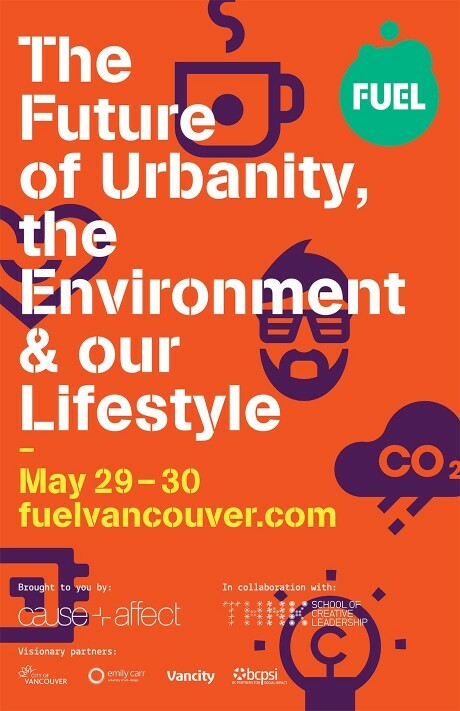 I was recently chatting my friend Steven Cox, who along with his wife Jane and their design firm Cause + Affect (the people who brought Pecha Kucha to Vancouver), are producing the first ever FUEL conference on May 29 & 30th. The thing that really got my attention was when I learned that FUEL will address four sectors of innovation, Design, Technology, Sustainability, AND FOOD! Why does food matter in the context of this conversation? Because it is a matter of great concern for every single living being in the universe. In fact, most animals spend the bulk of their lives either in search of food or worried about becoming food. Luckily, most humans in our society are fortunate enough to be able to focus on different questions like – what should I eat? Is it healthy? Is it low fat? Low carb? Low-cal? Vegan? Vegetarian? Gluten-free? Organic? Is it ethical? How was it raised? How was it killed? Is it GMO? Is it local? Who harvested it? Did they receive a fair price and fair treatment in exchange? Is meat murder? Is is sustainable? What does my consumption of this food mean for the planet? How did it get on my plate? Can we continue feeding our community and world with this for the foreseeable future the way things are going? And of course, how does it taste? What does it pair with? What’s the mouth feel? What culinary tradition is it inspired by? Who’s the chef? Where did they train? Have you tried this? Have you been there? Can I get it to go? And while you might be lucky enough to ask these questions, too many others go hungry or malnourished around the world, including in our very own city. And it’s at the meeting point of food and sustainability and technology and design where we think the answers to the future of food will be found. Cheryl is a journalist and entrepreneur who conceived and leads the Future of Fish, an organization that envisions a global seafood supply chain that produces legal, traceable, trustworthy fish; that rewards responsible fishing with better prices; and that fosters resource conservation. She’ll be in conversation with Andrew Wagner, the editorial director of interactive agency AREA 17 as well as previous executive director of Dwell magazine as part of the Food x Design Dialogue on FUEL Day 1, moderated by Michael Tippett. Chad is the founder and co-executive producer of Salt, Fresh & Field, a TV series about the emotional and visually immersive treatment of hunting, fishing and foraging on the west coast of North America. Chad spoke at PechaKucha Vol. 31 so you can get a taste of what he’ll be talking about by watching his talk on our vimeo page. He’ll be sitting in on a panel called: Individual to Group – Co-creation and the Role of the Expert alongside four other diverse perspectives during the daytime portion of FUEL Day 1 on May 29. Chad is also an occasional contributor to Foodists and long before he was making his own TV show was leading us on outdoor food adventures like spot prawning! Ryan is the co-founder of Food.ee and Tacofino and will be giving a short Future Forecast about the meeting of food and technology during Day 1. There’s a lot to talk about at FUEL, but the future of how we eat and our global food systems is an important conversation that goes beyond just what’s on our plates. 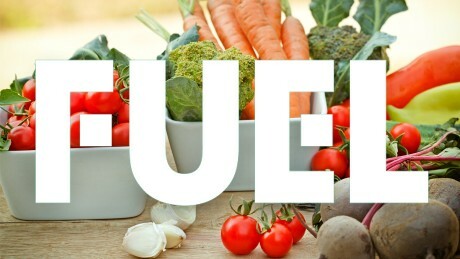 Let’s all meet at FUEL on May 29-30 and share some delicious conversation about it all. If you don’t have them yet, purchase your tickets here.